Large installations or expansions of existing network infrastructure are no problem for our bulk, 1000-foot gray Cat6 UTP Ethernet cable. 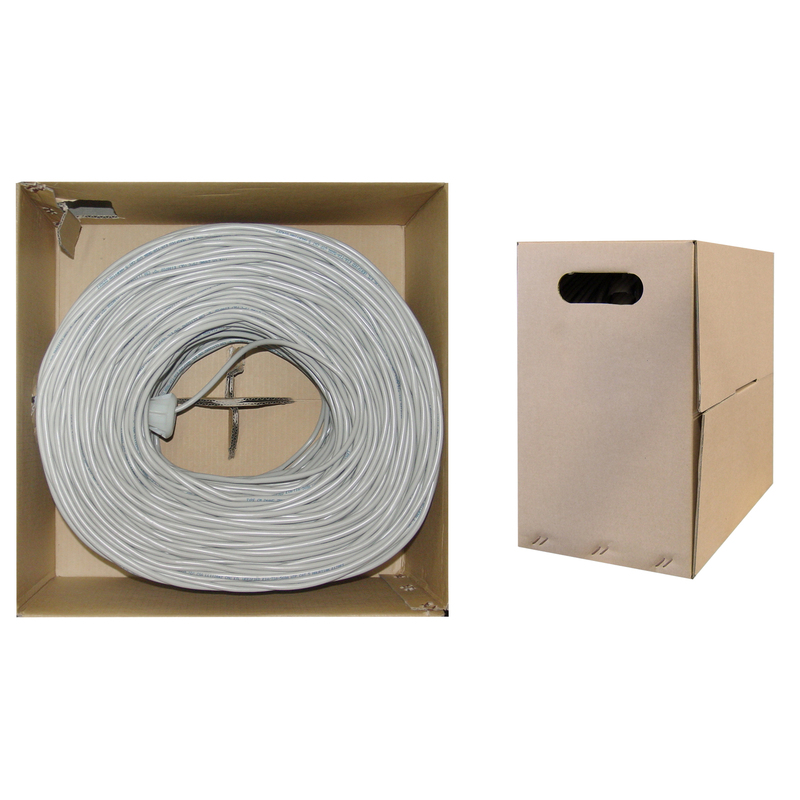 This solid cable comes in a pullbox, which allows for convenient storage, transport and distribution. The ends on this cable are both bare and ready for any job that you may have. 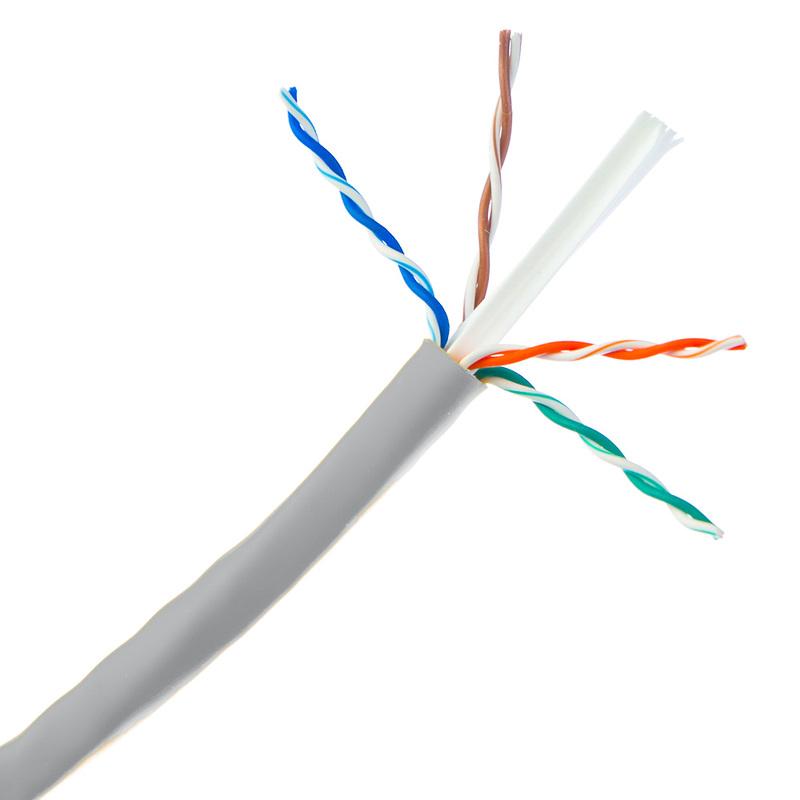 This cable has been designed specifically for gigabit Ethernet applications - this cable will provide lightning fast transfer rates and work with ATM gigabit speed products. This cable's conductors are 23 AWG solid pure copper, and the spline ensures separation between the pairs and eliminates cross talk. The order was as expected. I will not be able to express an opinion on the performance of the cable until I have it installed and operating. Cable is excellent quality, but the box will not stay together and needs tape to keep it closed.